Are you a website designer? Website developer? Then you should be updated with every update of, especially Google. As you know that Google Chrome is also one of the products of Google. Google and its team are trying to make the online web as secure as possible with providing latest updates it may be security updates or privacy updates. In the 2018 year, Google is providing a very important security update in Google Chrome is that from Jully onwards every website which doesn’t have SSL (Secure Socket Layer) is not installed those websites will be considered as Non Secure Website in Google Chrome Browser. Yes, it’s correct and we have researched it very well. This update will be carried out from Google Chrome 68. The long form the SSL is Secure Socket Layer which will encrypt the data transmission between you and web server. Whatever request that you are forwarding to any website web server that will be first encrypted by SSL Server then it will be forwarded to web server then again the reply which will be provided by web server will be encrypted by SSL server then it will be forwarded to you. This cycle will continue as far as you communicate with your web server. As a developer if you are confused HOW CAN I GET SSL? HOW MUCH IT COST? Then, I have an answer for you. There are so many vendors are present who provides SSL with starting 10$-20$. After purchasing SSL you just need to install it with the help of cPanel of your website. If you looking for FREE SSL then you can go with Glosting.com. If you have web hosting from Glosting.com then they will provide you FREE SSL with FREE INSTALLATION. If you are web surfer means you only do website browsing then you can identify weather website has SSL or Not. Just check it out website URL if it starts from HTTP then the website doesn’t installed SSL Certificate. If website URL is starting with Green PAD LOCK HTTPS then this website has already SSL installed. 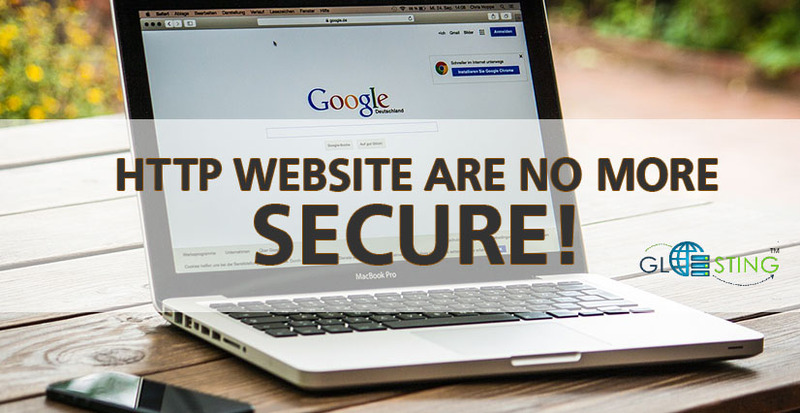 You can freely browse those HTTPS websites without any security problem. If you found this article useful then please don’t forget to share your review in the comment section below. Usually, I never comment on blogs but your article convinced me to comment on it as is written so well. And telling someone how awesome they are is essential so that on my part I convince you to write more often. Great advice ever. Your post is very helpful & informative.